Stefan Nordström, vocalist/guitarist of Swedish melodic death/doom band Soliloquium, answered some questions for us. Their 2nd full length album Contemplations is due out June 1st, 2018 on Transcending Records. For those unfamiliar with your band, please give a brief one liner about your sound and a quick FFO. SN: Swedish death/doom metal music with touches of other, more contemporary styles. For fans of: Katatonia, Paradise Lost, Anathema, Swallow the Sun and October Tide. What was the writing process like for your album? 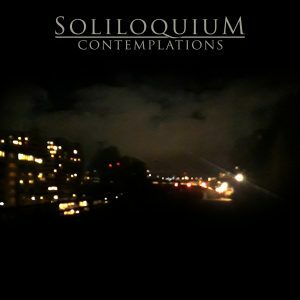 SN: Soliloquium is only me composing, so there’s a lot of late nights with headphones, guitar, Guitar Pro tabulature and coffee. The musical blueprint is exclusively laid down that way. Lyrics tend to come to me at any given moment, especially the good oneliners. The themes for the songs on “Contemplations” came together rather smoothly. It feels like I had a lot to express during this period. What do you think sets your band apart from the rest? What does Soliloquium bring to the table that no one else does? SN: The will to experiment and dive into other music styles separates us from other death/doom metal bands. There’s for instance a straight shoegaze ballad on our coming album “Contemplations”. It’s also about daring to get very personal and specific. I don’t want the music to touch the listener in broad terms of sorrow. I want the expression to be crystal clear and thought-provoking. What sort of things inspire you to create music? SN: My inner thoughts and the world around me. There are a lot of things you can’t or won’t express. Soliloquium is my outlet where I can turns these negatives and nagging thoughts into something productive. How do you feel about the current state of the music industry, in particular streaming services, “illegal” downloads and such? SN: I don’t mind it. It’s the technical evolution. If you don’t embrace it, you will get left behind. As a musician, it’s important to become the best Do It Yourself-marketer you can be and find recognition online. If you could share the stage with any other musician (dead or alive), who would it be? SN: Wow, hmm.. I think Chino Moreno from Deftones would be my choice since he’s both extremely energetic and sort of a mystery at the same time. I finally managed to catch Deftones live last year and it was easily one of the best gigs I’ve ever seen. Which albums are in your top 10 right now? Fast forward 5 years from now, what’s Soliloquium doing? SN: I hope we’ve released a couple more full-length albums and that we still have intense real life topics to write about. Hopefully, our music styles has developed as well. Craziest thing you’ve ever done together with the band? SN: Since Soliloquium doesn’t play live or rehearse, I’ll tell a story about my death metal band Desolator instead. We went to Spain to play at a festival and decided to make it into a week long party trip. Not all death metal bands combine playing at a festival with going to disco parties. One of the craziest (and most awesome) experiences in my life, for sure! Thanks for your time, anything else you’d like to add? SN: Thanks a lot for the interview! 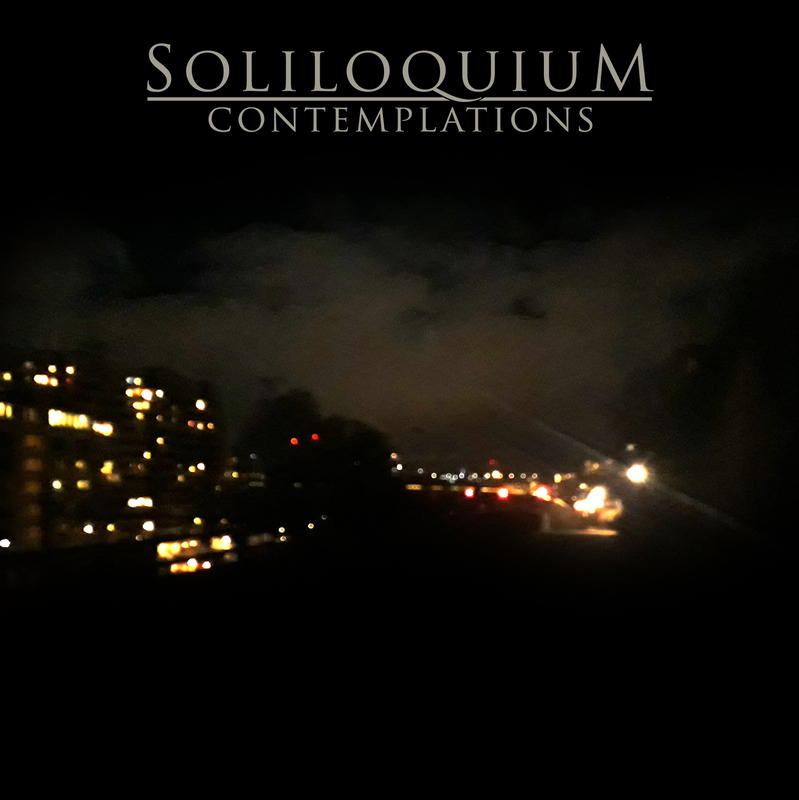 If you like Soliloquium, please keep in touch with us online! Copyright © 2018 Void Unveiled. All Rights Reserved.